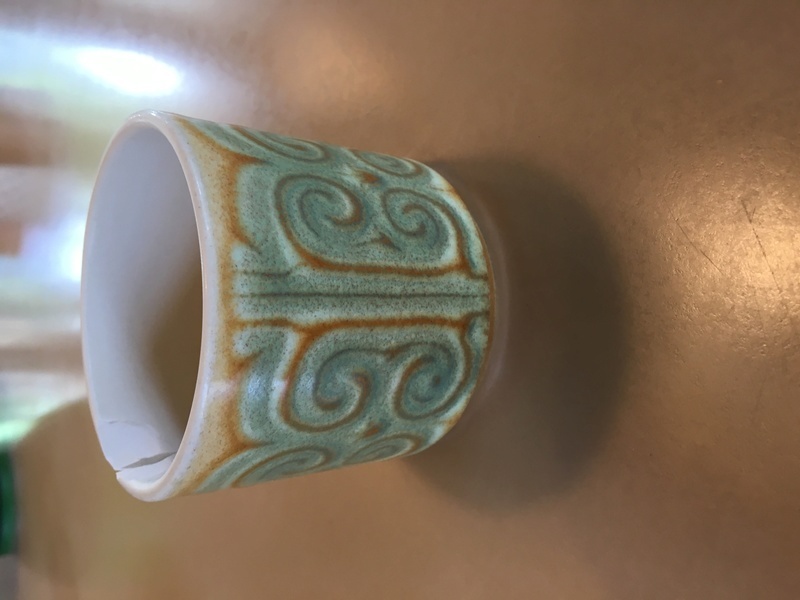 I broke my favourite cup which I bought at an op shop in Australia. 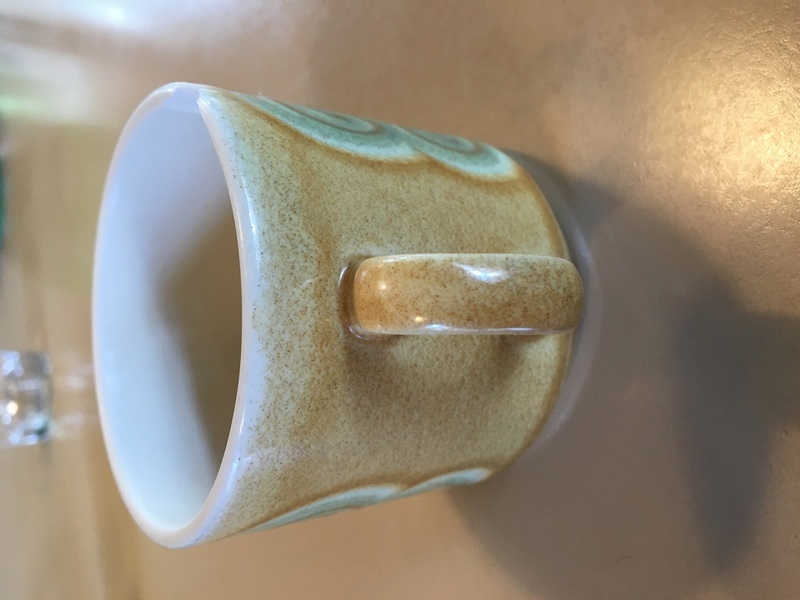 I purchased another with it at the time - same cup with dark and light green speckle and dots pattern. Obviously they're from NZ and I suspect some line from Crown Lynn. 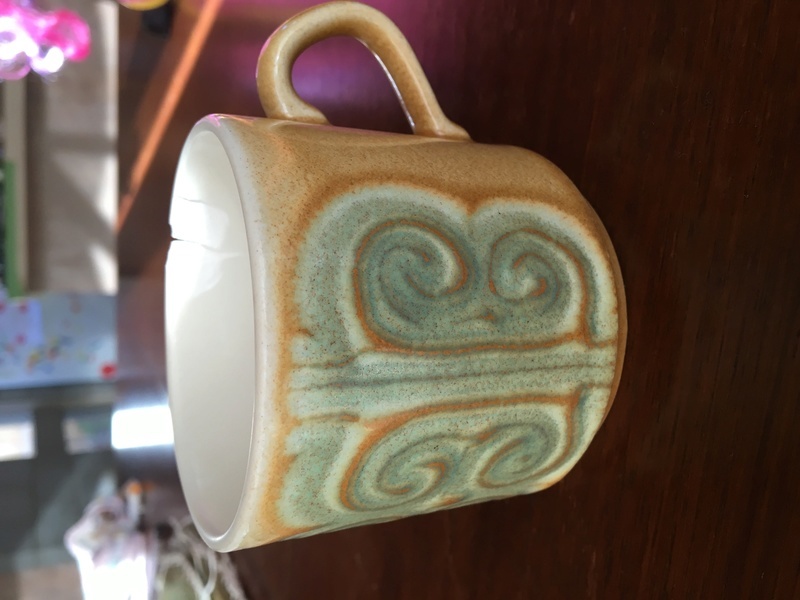 Anyone have any leads/names/brand ID? 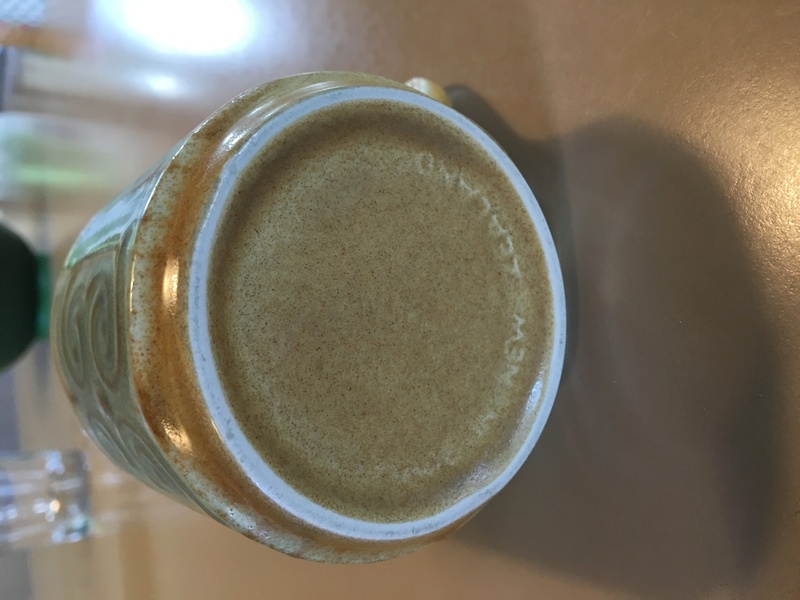 Re: Maori design- anyone know the name/brand if not CL? Hi there, this is definitely made by Crown Lynn. I don't know the pattern name and haven't seen this one in these colourings before, but hopefully others will see this and may have one to match.